The application was configured to authenticate with a valid username and password, on the front-end transport service of the Client Access server, which was listening on port 25. So why was this happening? The answer is simple, the receive connector used was not allowing authenticated relay of emails. The Client Access Server in question had several receive connectors, and how do we know which one is that specific server/application using? Well it will use the more specific receive connector, meaning that if your application server IP is 10.1.1.1 and that IP is specified on the “RemoteIPRanges” attribute of the receive connector, than that is the receive connector being used, and it’s there that you need to look and see what authentication options is the receive connector advertising. To check the Remote IP Ranges of a receive connector you can use the Exchange Admin Centre, and go to the Scoping tab on the receive connector properties. If the IP address of your application server is not specified on any receive connector, chances are it will use the default receive connector to try and relay (or any other that accepts all IP ranges), or if your default receive connector is not allowing relay from any IP (it shouldn’t so if it is you should change it) the relay would be denied and you’re looking at a different error than the one i am blogging about today. I hope the above was helpful! As always, any questions or queries let me know. Recently i was adding new Exchange 2010 SP3 servers into an existing Database Availability Group, and adding database copies on those servers, to all the existing databases. I went to the NewDagMember and the log file directory was empty, meaning that no log was seeded during the process of adding the copy. Then i went to the event viewer of the NewDagMember and found two relevant events. Event ID 2059 – MSExchangeRepl: The required log file <file number> for <Database\Server> is missing on the active copy. If you removed the log file, please replace it. If the log file is lost, the database copy will need to be reseeded using Update-MailboxDatabaseCopy. Event ID 117 – ExchangeStoreDB: At <Date Time> the copy of <Database Name> on this server experienced an error that requires it to be reseeded. For more details about this failure, consult the event log on the server for other storage and ExchangeStoreDB events. The passive copy has been suspended. So in summary event ID 117 was telling me that the local copy experienced an error and had to be reseeded and event ID 2059 was telling me the cause of that error. A log was missing on the source. At this point i was sure on how to resolve this: I needed to truncate all those database logs. The incremental and probably also the full backups were not truncating the logs as expected and some logs were missing, so if i was able to truncate them asap it was problem solved for me. So what i did was, i got a small maintenance window and enabled circular logging on the databases. If you choose to do that be aware that: You need to dismount the database twice (hence the maintenance window), the database cannot have any copies when you enable the circular logging and you need to monitor the logs folder of that database as circular logging might take some time to truncate the logs. Once i did the procedure described above, i re-ran the Add-MailboxDatabaseCopy cmdlet and my problem was solved. “Exchange OAuth authentication couldn’t find any accepted domains in your on premises organization. Verify that you’ve configured at least one on-premises accepted domain.”. So what was the actual real impact of the error above? The answer is: Free/busy information between Exchange online users and Exchange on-premises users, on both directions, was not working? Why? Well i am going to try and keep the explanation simple and focus more on the solution. Free/busy was broken because it relies on IntraOrganizationConnectors, and the IntraOrganizationConnectors rely on OAuth authentication. the output showed all my on premises domains, as expected, and the *.onmicrosoft.com domains created by the Hybrid Wizard. So all good here. You need to wait up to one hour to test the Free/busy from an online to an on-premises user. From one on-premises to one online should be almost instant, depending of course on Active Directory replication. So did disabling the IntraOrganizationConnectors fixed the Free/Busy issue? For me it did, which means that i had the issue identified. When i ran the Hybrid Configuration Wizard, the OAuth authentication was only partially configured, and therefore the IntraorgConnectors were not working. Disabling them or removing them sorted the issue, but that is not the ideal solution, as the goal is to use them correctly. And what was the solution? 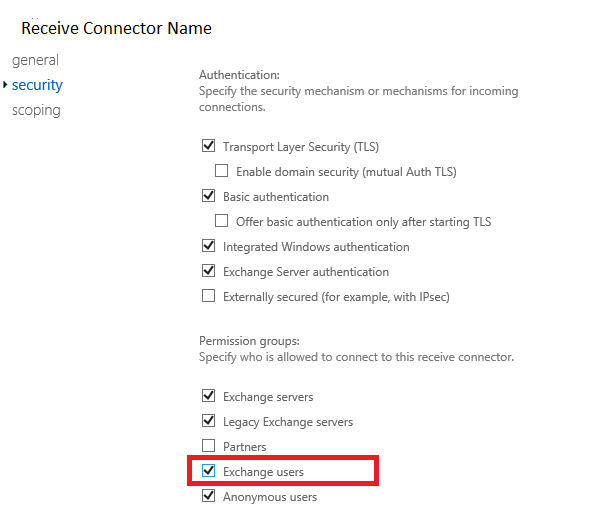 To manually configure the OAuth authentication between my Exchange on-premises and Exchange Online. To do that follow all the steps from the link below, and you should get your problem sorted, as i got mine. Any questions or comments let me know. I hope that the post above was helpful!